Ruth E. (Klein) Melcher went to a better place on May 26, 2015, from her home in Missoula, MT. She was born in the family home near Olerichs, SD, June 20, 1924, to Josephine and Frank Klein, the seventh of eight children. The family endured the Great Depression and the loss of the family farm to taxes, but the children were buoyed by their parents’ optimism, humor, practicality and no-nonsense work ethic. FDR Democrats, the Kleins were stubborn, fun-loving and often irreverent. In her later years, Ruth often lamented that she was the last survivor of the children of Frank and Jo. A natural storyteller, Ruth kept their history alive through her family chronicles. She graduated as salutatorian of her high school class in 1942. In 1943 she was working at a local grocery store when she learned she would be able to attend business school because, for the first time in years, her father had a profitable crop from a few acres he had retained. After graduating from business school, she joined her sisters in Oakland, CA, where they had moved to find work. There she worked as a secretary for Southern Pacific Railway. In 1945, John was wounded in combat while serving in Gen. Patton’s Third Army and was hospitalized in Santa Barbara. While in the hospital he received regular visits from Ruth, who only had to step out the door of her office at the Southern Pacific to board a train that would take her to see John. They married in Oakland on December 1, 1945, and headed to Ames, Iowa, where John was enrolled in veterinary school. They had two children in Ames, David Joseph and Teresa Ann. Ruth always said, although they were very poor while John attended college, they were some of the happiest years of her life and there are many stories of their adventures and friends from that time. In 1950, they moved to Forsyth, Montana, and established a veterinary practice and welcomed their second daughter, Joan Carol. Ruth loved Montana from the start and always said it had a much better climate than South Dakota. In 1954 their hearts were broken with the loss of their firstborn, David, at age six to Reyes Syndrome. They were blessed with three more children: Mary Susan, Robert Conrad (Bob) and John Christopher, and the family thrived in the years that followed. Family was always the center of her life and her children and their well-being were paramount. 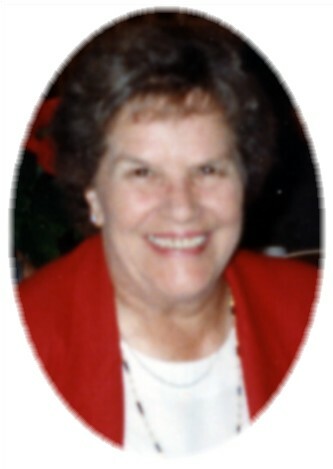 Ruth developed many lifelong friends in Forsyth and was instrumental in the development of a golf course there. She also enjoyed weekly bowling with her team and bridge games. In 1969 Ruth, John and the three younger children moved to Washington, DC, with the election of John to the U.S. Congress. Family lore is Ruth cried all the way to Broadus. However, her natural charisma and earthy humor soon won her many friends and she found a community there that sustained her for many years, although she always missed Montana and returned whenever she could. She was John’s North Star and at events, he would always ask, “Where’s Ruth?” and wasn’t happy until he could find her in the crowd. She often told him to keep his speeches short and he tried. Ruth was equally unpretentious and passionate (family, Democratic politics, football and golf). She drew people to her by her genuine nature and what-you-see-is-what-you-get personality. She always knew who she was and where she came from. Her last years were spent with family, enjoying her view of Rattlesnake Creek, Canada geese, deer and an occasional bear — and smelling the lilac bushes. The family now imagines her with her sisters at a bridge game in the sky. She was preceded in death by her son, David, and all of her Klein kin. She is survived by her husband John, daughters Teresa Thompson (Gene), Joan (Kelly Spears) and Mary (Tom Post) and sons Robert and John (Sallie), 10 grandchildren, Hannah Thompson, Gena Ruth Nassett, Jesselyn Gaona, Jackie Stewart, Jeremy Melcher-Post, Kaitlin Toussaint, Jill Melcher, Rocky, Becky and Josephine Rose Melcher, and two great-grandchildren, Ada and Rey Nassett. Ruth was a devout Catholic and appreciated the ministry and friendship of Father Michael Poole of St. Ann’s Parish in Bonner in the last months of her life. Partners in Home Health provided excellent Hospice care. Funeral services will be June 2 at 11 a.m. at the Immaculate Conception Church in Forsyth, following a 10 a.m. vigil. A memorial service at St. Ann’s Church in Bonner will be announced at a later date. In lieu of flowers, family suggests contributions be made to the Missoula Food Bank. Many fond memories of Ruth and the Melcher family. Ruth was like a neighborhood mother. God truly blessed her. I am so sorry for your loss. My thoughts and prayers to the entire Melcher family. Ruth was a special person in many ways. I remember when the Melchers lived right across the street from us. She treated all the kids in the neighborhood like they were her own. My thoughts and prayers to the Melcher family. My thoughts and prayers are with the entire Melcher family at this time of loss. May God bring you comfort. Dear Terry ~ My deepest condolences. Please know that my thoughts are with you at this sad time. My mom always considered Ruth one of her dearest friends and many laughs were shared between them. I hope that you will find peace in knowing that she was loved by many. You’re in my thoughts and prayers too. Such fond memories. My deepest sympathy in your loss. My thoughts and prayers are with you. My thoughts and prayers are with you all. Ruth was a lovely lady and always had a smile. I am sorry for your loss. You are in our thoughts. She was a terrific woman. May all of your wonderful memories provide comfort to each and everyone of you. The next time you hear thunder, it is probably our Mothers enjoying another game of bowling!! To the Melchers, Your Mother was so very special, she took me in as one of her own, always had a hug and a smile for me. We had great laughs together and her advice to me on how a young man from Roundup, could succeed and survive in Washington, DC was priceless. There have always been a few people from my growing up that I would have enjoy seeing again and Ruth was always at the very top of that list. She always had a welcoming smile and a no nonsense way of talking. One of my earliest childhood memories is Ruth charging at me with fire in her eyes. I had just twirled a pair of cowboy chaps around and around and then hit David in the head with the buckle causing blood to flow. If I hadn’t been so quick I may not be here today. She was a great lady and will be missed by family and friends. You’re greatest comfort will be all the wonderful memories you have of her. May you find great comfort in all the memories of your mother. She was a great lady and a wonderful friend to many. You were all blessed to have her in your lives for so long. I will let my sisters (Wendy and Heidi) and brother (Mark Beals) know of her passing. John you married a special lady that was your greatest supporter, may you get comfort from your family during this hard time. Ruth was one of the great ladies of Rosebud County! She brought joy and laughter to all growing up in Forsyth. What a gifted beautiful person she was. Treasure the memories and wish John and the family strength and support during this sad time. My deepest sympathy to you all. My thoughts and prayers are with you as you say good bye to Ruth. It is so very difficult to do but I know you have many wonderful memories to sustain you at this time. Knowing she is in a more beautiful place is comforting. John, working for you in D.C. in 1970 before going to the University was a wonderful experience for me. What a different world from Colstrip! So many memories come flooding back! Ruth’s Snickerdoodle recipe was printed with her picture in the First Ladies’ Cookbook and I have made these cookies many times! They are delicious and in honor of Ruth, I will make a batch this weekend! Take care and hold each other close. Dear Melcher family, I just heard of your mother’s passing. What a beautiful and loving life-story you have written for her obituary. I have the fondest memories being in your childhood home. Your mother was just as you describe her. I can close my eyes and imagine being at the kitchen sink and/or hanging outside with your mother watching over us. I know you will enjoy your time together celebrating her vibrant and full life! May your memories bring you peace! Sincerest condolences from the Boland clan. We have so many wonderful memories of Ruth. Condolences to the family. Ruth was a great lady. I so fondly remember her. Many the many memories of her in all our minds give you happiness. My condolences and sympathy to all. May your love and memories help sustain you now, and in the coming days and weeks. My thoughts and prayers are with you. It was good to be with all of you in Forsyth yesterday. It was a beautiful service. I think the fabulous electrical storm the night before the service was Ruth letting everyone know she was happy to be back in Forsyth. Love to you all. So sorry for your loss. Although I haven’t seen any of you for years my thoughts are with you at this time. Having lost both my parents I can empathize with your experience. Love to all of you. I am so sorry to hear of Ruth’s passing. She was a delight and, somehow, able to put up with John’s antics for so many years. I feel honored to have known your family, just a little bit. Many blessings to the family. I am overseas and just heard about this and am deeply sorry for this loss. Ruth was a wonderful person who will be very much missed. My own mother Cathy Huntley of Baker just adored Ruth as many people did. To Doc and all of you kids, I just learned of Ruth’s passing, so sorry for your loss I know without a doubt that she is right up there with our Creator! I have wonderful childhood memories of Ruth and you all, your house both the old one and the new one were always full of all of us kids and Ruth was real good about passing out snacks!! The life story that you prepared for her was a lovely tribute to a great lady and I loved seeing all of the pictures, they brought back lots of fond memories. God be with you all and sustain you as you cope with your loss.